The United Kingdom should select an ambassador for the Arctic or risk being left out of key decisions in the region, a House of Lords report says. “The UK needs to up its game or risk being outmaneuvered in the region by other states,” the committee concludes. It advised the UK should follow the example of nations including France, Singapore and Japan in appointing an ambassador for the Arctic. 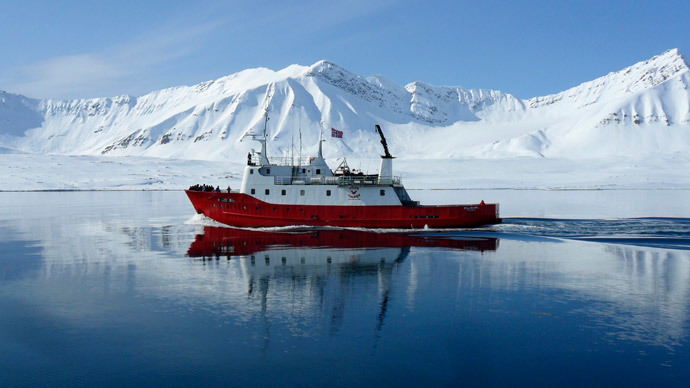 The Lords examined how Britain should respond to the rush for control in the polar region. The Arctic holds an estimated 30 percent of the world’s undiscovered, recoverable gas and 13 percent of its oil. Due to its large untapped reserves, the regions has been wrangled over by the eight ‘Arctic Council’ states: the United States, Russia, Canada, Denmark, Finland, Iceland, Norway and Sweden. “The recent fall in world energy prices provides a window of opportunity for thorough examination of whether oil and gas extraction can be done safely and responsibly in ice-affected Arctic waters, and for considering whether any international standards on where drilling can be undertaken in relation to sea ice can be agreed,” the report said. Britain’s ambitions are more about safeguarding the environment than taking control of the region’s mineral riches, according to the House of Lords Arctic committee. The Lords committee says with the climate warming at an alarming rate, there will be huge challenges and opportunities for the environment, ecosystems and people. It adds that oil firms should re-consider their plans for drilling in the region. Experts have said the Arctic will be free of sea ice in the summer as soon as 2020, which will give way to extract resources, open up a northern sea trade route and opportunities to “take advantage of the expansion of shipping” on Arctic routes. The committee suggests the interests of British companies need better representation. They also want a moratorium on fishing in the high seas area of the central Arctic Ocean to prevent a damaging free-for-all as fish migrate north due to global warming. Committee Chair Lord Teverson said, “The Arctic is changing in front of our eyes. That change is momentous and unprecedented.